Since the beginning of this year, so-called „hot” unlawful and violent pushbacks of migrants at the border of the Spanish enclaves Ceuta and Melilla in Northern Morocco became very publicly visible. 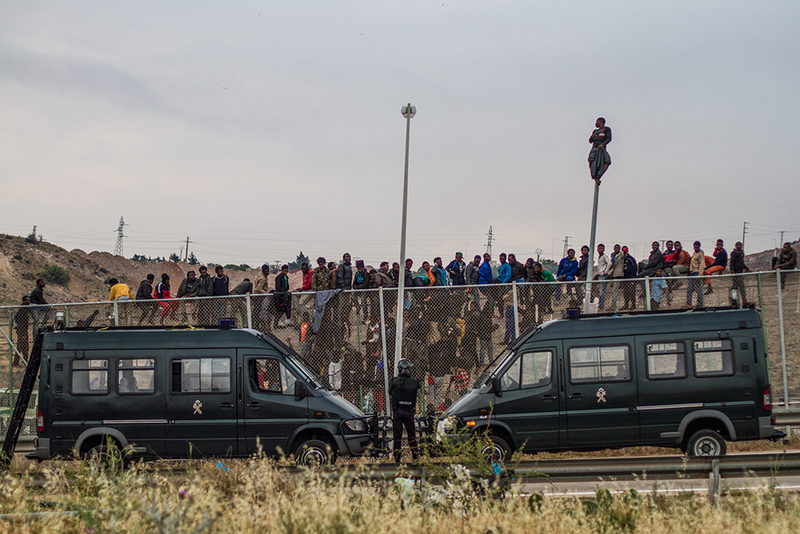 Disproportional abrasiveness (batons, aggressive police dogs, teargas to the point of rubber bullets) has been used by Spanish and Moroccan frontier guards in order to hinder migrants from getting over the fences or arriving by boat. Photo by José Palazón: The Moroccan-Spanish border near Melilla (May 2014). The push-backs, meanwhile, informally referred to as “expulsiones en caliente” (hot deportation), are the result of concerted actions of Spanish Gendarmerie (“Guardia Civil”), national police, and Moroccan security agents. The latter enter the zone situated between the razor wire fences – two fences, and barbed wire six metres high – and return all migrants to Morocco without any written legal proceeding or the respect of internationally acknowledged guarantees, like the right to seek asylum. For hours, as this video by the Spanish NGO Pro.De.In. shows, migrants are hold off against state frontier guards with batons and dogs at the very top of the wired fences and floodlight masts, escaping and finally reaching the temporary detention camp, CETI. In 2014, last 6th of February, 15 sub-Saharan migrants drowned trying to reach Ceuta from the waterside. After initial denials, Interior Minister Fernández confirmed that Spanish Guardia Civil agents had fired rubber projectiles and teargas into the water. The EU home affairs commissioner, Cecilia Malmström, showed concern about the Guardia Civil’s oppressive reaction that may have contributed to the deaths. These disturbing scenes take place legally on Spanish soil. For several years, this has been quite a hidden practice concerning only little groups of migrants, but recently violent pusbacks have been normalized on a much larger scale.They affect migrant persons who – short of financial potential to enter Europe by legal means (via visas), and at the risk of losing their lives during a journey that in many cases take several years – refuse to give up hope and to put their imaginations into practice. They keep on with persistent attempts to realize their diverse migration projects: in need of international protection, fleeing from wars and persecutions, or, fundamentally, in search of another life and a better future. At the least, the above mentioned incidents brought back into the focus of media coverage the encounters of migrant mobility at the only landborders between Africa and EU-Europe. Ceuta and Melilla literally represent “Europe in Africa”, as De Haas puts it. They are ultimately incarnating the relations of a shared history between the supposed dominant center of European modernity and its dominated, once colonised periphery. Within this postcolonial setting, migrant activists point out to society’s human rights commitment, stating that the EU’s expanded border control politics violated international guarantees. Numerous local and countrywide civil society organizations, local initiatives, lawyers and political unions (like CpM in Melilla) both at the Spanish but also at the Moroccan side of the Schengen border denounce these practices of collective and sweeping expulsions of mainly sub-Saharan persons as illegal and unconstitutional according to Spanish law. The Melilla based NGO Pro.De.In particularly has meticulously documented the incidents via photos and videos. These images have been widely dispersed, first in social then in mainstream media, in order to inform citizens critically about the lawless and lethal brutality happening at the southwestern external borders of Europe. Their work uncovers the hegemonic power relations of a “New Europe” and its EU-border regime that has been expanded and transnationalised into North Africa through the help of bilateral agreements and partnership politics in return of guaranteed economic privileges and development aid. In their report about a recently human rights observation in Melilla in July 2014, a group of lawyers, migrants’ aid and human rights activist stated that there is a real threat of establishing “Guantanamo”-like zones in Ceuta and Melilla where national law is no longer implemented in order to deport or “return” the supposed undesirable migrants without a necessary minimum of guarantees. Although the conclusions of this mission will be submitted to the respective committees of the UN and the European Council dealing with the prevention of torture – next to a further complaint against the government representative and the chief of Guardia Civil – activists are not very optimistic about successfully addressing the European Union policies with their demands. Nevertheless, they hope to be heard at juridical instances like the European Court of Human Rights. Holding a two-faced attitude in the context of managing human movement into and inside the European space by means of distinction between so called undesired “migration” and promoted “mobility”, the EU is accused of openly “waging an authentic dirty war against migrant persons”. Permanent pushbacks of migrants at the borders of Ceuta and Melilla, assisted by lethal state repression, as happened at the beginning of February, can attest for it. In fact, since the mid-1990s the EU established its concept of “management of migration”, underpinned by a neoliberal discourse that redefines the border itself as a humanitarian concern. This move shifted the previously national, social and conservative discourse that had problematised migration as a danger to security, national identity, and welfare. Border politics today, gain rhetorical legitimacy from widely accepted and supported demands to take action against organised human smuggling, trafficking in women, as well as against delinquency and exploitation in migration. As Sonja Buckel illustrates, the neoliberal model, moderated by international organisations like OECD and IOM, connects the “fight against illegal migration” with the recruitment of economically desired “positive” migration and replaces the failed, because inefficient, walls-up strategies. The latter are usually refered to as “Fortress Europe”. Current discussions about the creation of more legal possibilities to enter Europe in order to fight irregular migration point to this logic of “management”. The above mentioned oppressive mechanisms of the EU are not at least echoed in the fact put forward by a recent Amnesty Internation report of July 2014: that Spain is one of the countries with most discrepancy (280 million Euro between 2007 and 2013) between the money spent in border control and the budget provided for the attendance of refugees and asylum seekers. Morocco: “Europe’s Gendarme” or respecting migrants’ rights? For their part, Moroccan authorities, also show little interest in clearing up, explaining or commenting officially on the new returning proceedings in which they are involved. The Moroccan Kingdom is part of the secure third-party-country belt the EU installed at its margins. Although having announced a radically new politics of migration in line with an approach that is referred to as humanitarian in September 2013, Morocco is contributing to the well-paid control policy on its territory, currently by constructing a new razor wire fence, financed by the EU and provided by beneficial European security and technology companies. On the Spanish side, the blades, able to cut tendons, had to be removed due to intense public protests denouncing human rights violations some years ago. Morocco, which already had been condemned for ongoing torture practices in prison, will have to take the responsibility of future human rights violation. The Spanish-Moroccan cooperation in border issues conforms with the new “Mobility Partnership” signed between EU and Morocco in June 2013 . This agreement is not least directed to finally complete the still lacking and highly contested negotiation about the readmission of what the EU considers “illegal” migrants, not only of Moroccan nationals, but also of non-nationals having demonstrably entered undocumented from Morocco to the EU. These incidents in the Euro-Moroccan borderlands, which have been recently highlighted via media and activists, have finally provoked discussion at national and European political and public level – and translate the daily normalized brutality of border control. The control mechanisms, rearmed with biopolitical (information) technology, are able to detect, supervise and control moving bodies on the land and in the water. These practices reify a pervasive European border regime, thereby embodying what Étienne Balibar in “We, the People of Europe” calls a “European apartheid”. Despite apparent efforts to the contrary, this regime doesn’t effectively prevent migration, because migrants have always found new ways to enter into Europe. However, by regulating and managing it, the EU creates a new subject at the borders: the disenfranchised, precarious subject of the illegal migrant that skilfully arranges and copes in various situational ways with the parlous conditions of the everyday life in the “cosmopolitanised” EU-borderlands. The anthropologists Regina Römhild and Michael Westrich have indicated this very fact for the case of Spanish Tarifa. Secondly, the events underline the fact that the control apparatus – externalized, meantime, into Northern Africa and the Sahel zone – is continuously challenged by the movements of migration. It is by means of their presence that migrants from the global South and East claim a right to Europe. 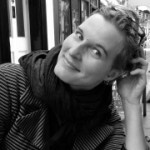 Pointing to the cultural theorist and sociologist Stuart Hall, Regina Römhild argues that they can derive this right from the long history of colonial expansion from the West to the “rest of the world”. Migrants are, so to say, “Europe’s Others” “without which this Europe would not exist today, the other, that Europe tries to split off from its own history by a neocolonial gesture”. And finally, there is no capitalism without migration/mobility of labour, as De Genova, Mezzadra, Pickles et al. show convincingly. Considering the facts that migration itself is a field of struggle and it does play a key role in the routine operations and reproduction of capitalism, this kind of non-intentional migrants’ interventions form “counter-mouvements” against the neocolonial and capitalist transnationalisation. The continued presence of so-called “irregular” migrants’ mobility as well as their struggles for fundamental rights are questioning both physical borders and socio-cultural boundaries of EU-Europe. Migrant actors do so, often unintentionally, just simply but not only, by “attacking the fences” as they themselves name it. This challenging of European borderlands – not only between Morocco and Spain – has been creating a turbulent centre of manifold entanglements and encounters: that is, cosmopolitanised social spaces of enmeshments between the supposed migrant “other” and so-called “national local”. Here, multilevel negotiations, pragmatic alliances and situational collaborations take place in everyday interaction, next to experiences of neo-nationalist and racist defence. In this sense, today`s encounters at, outside and behind the EU-Europe borders, are cause and constitutive part of salubrious, yet conflict-ridden societal transformations. They might contribute essentially to juster models of political, societal and cultural formations, ultimately dealing with a very important question: how do we want to live together? I’m a cultural and social anthropologist doing research on transnational migrant mobility at the margins of EU-Europe. I explore emerging social alliances of solidarity, forms of knowledge and imaginations negotiated between “migrants” and “local nationals” in the Euro-African borderlands from Rabat (Morocco) to Murcia (Spain). Thanks Kristine for this thoughtful and inspiring piece. And you really did hit the mark. “Legal migration is a fence against illegal migration” – this is what Dimitris Avramopoulos, the Commissioner designate for Migration and Home Affairs, just stated 2 days ago “echoing the view of many human-rights organizations”: http://blogs.wsj.com/brussels/2014/09/30/proposed-eu-migration-commissioner-avramopoulos-talks-the-talk/. “Attacking the fences” is transforming EU-Europe’s migration management! 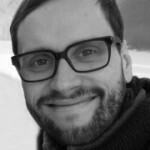 A colleague of mine, Robin Öberg, just made a pretty interesting comment which I want to share: “An armed border around the EU, an armed border between Israel-Palestine, and between USA-Mexico, between Spain-Marocco, between NATO-Russia, between North Korea-USA, between Cuba-USA, etcetera… It’s the era of global apartheid: http://en.m.wikipedia.org/wiki/Global_apartheid“. Of course, it`s not ONLY about Europe. It`s, once more, a global phenomenon!